Lone Wolf or Systems Oriented? Missionary work, in a cross cultural setting, in remote communities, requires a respect and a willingness to integrate into systems. This paper deals with whether a missionary is being a “Lone Wolf” type or a missionary that integrates into and navigates within systems. Let’s see. A lone wolf missionary goes it alone. They ignore the fact that they are part of a team. They ignore the task of setting up systems for others to follow and plug into. They ignore systems that have already been established around them, like the local church or other Christians already tending the Lord’s harvest fields. God works through teams. Lone wolf missionaries may be able to preach the Gospel and God can work through them in some ways, but such an existence is unsustainable on an isolated, cross cultural mission field. The growth of the Body of Christ, through them is stunted. Also, because they have ignored systems, no one will know how to follow, nor be inspired to follow. A lone wolf Christian will become very lonely, because of the lack of peers that have drawn up along side of him/her, though they may have a lot of people who are interested in Christ drawn to them. The alternative to a lone wolf missionary is a systems oriented missionary. The following are some definition of system, from Merriam-Webster.com…. A regularly interacting or interdependent group of items forming a unified whole. A group of body organs that together perform one or more vital functions. A group of devices or artificial objects or an organization forming a network especially for distributing something or serving a common purpose. The Bible teaches us that the church is the body of Christ. 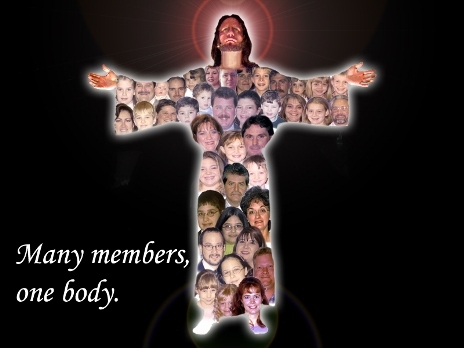 As there are different parts of the body there are different parts of the church. These are akin to systems. Jesus is a respecter of systems. The fact that he called the Twelve, and trained the Seventy Two, shows that he was not ignoring those around him. He was committed to developing the systems around him and working within them. He never ignored the fact that the Gospel came through the Jews. Jesus came first the Jews and then to the Gentiles. He spoke in the synagogues and the Temple. He honored the Jewish Holy Days. The systems Jesus developed have grown and expanded to encompass the entire globe today. Systems are established so that a missionary may step into a mission field, be oriented and know what is going on. They serve to initially direct the missionary. Systems help to eliminate problems. Setting up such systems means getting involved in all the “nitty gritty” stuff. It means developing protocols and building the overall structural components. Build it and lay it out. Lay down the categories. It is being a trail blazer to open the path for the generations of missionaries that are coming behind you. Systems are in place to sustain the mission long term. But keep in mind, systems are never static. They will change to serve the mission. This is how they are different than frameworks. Missionaries need to be willing to take time out to wisely enter into a system. A cross cultural missionary must recognize the body of Christ around them. They need to be a team player, focusing in on team dynamics. They need to recognize themselves as part of a greater body and integrate with the other parts of the body in fruitful and life giving ways. Before entering a mission field, a missionary may want to make an extended visit with the team to determine if they are a good fit. Missionaries don’t move unilaterally. They move with others in the team. They move with others in the mission field and within their network. They move with Holy Spirit and the rest of the body of Christ. This may go against the initial desires of the missionaries, but they submit to the moving of the spirit, let go of their old frameworks, and grow as God would have them grow, for they are committed to systems. Missionaries need to understand the systems that have already been set in place around them. This means learning the history of the mission. They seek to understand the story of how this field was introduced…how the doors to the community were opened. They seek to understand the process of how the first missionary families got to the mission field. Missionaries should develop the infrastructure that God can work through to fulfill the mission. They pray for God to open doors. They step through the open doors by faith and develop systems so that missionaries after them may also step through the open doors. A missionary must commit themselves to develop systems, prayerful initiating and building systems themselves. In remote areas there may be very few, and maybe no believers. Though the missionary may be in a remote setting, there are still systems to integrate into. They determine to find and build relationships with “a person of peace”, someone whom God has raised up to invite them to minister within the community. Systems missionaries are willing to make repeated visits to build relationships and confirm their call. Also, remote communities have relationships with trade centers in larger communities. It would be good for missionaries to enter into systems in these larger communities, like developing relationships with believers who have a similar vision. They could also become part of a support church. System oriented missionaries try to develop systems from within the remote community, as the work of God matures. Such a missionary is one who refuses to make the mission a “one person” show. They are ready to step aside and take a supportive role as God establishes Native believers. They surround themselves with, and submit themselves to, an empowered, diverse board of elders. They build up and support the systems that God is trying to develop in the remote community. This requires the missionary to be flexible, dynamic and elastic, as they set up systems that support the growing work of God. Systems are not static, monolithic things that hinder the work of the Spirit. They must be something that supports, strengthens and magnifies the work of the Holy Spirit. Concerning the nature of the Holy Spirit, John 3:8 reads, “The wind blows where it wishes, and you hear its sound, but you do not know where it comes from or where it goes. So it is with everyone who is born of the Spirit.” Systems grow and morph as the work of God grows and expands. It is like the difference between old wineskins and new wineskins. System oriented missionaries will not import foreign frameworks, not theirs or another church’s. Frameworks may actually hinder church growth in the remote community because they are inflexible and inadaptable. Frameworks are not systems. For a remote, cross cultural setting, the ideal is a Native founded and Native led church where the missionary takes on a supportive role. A lone wolf missionary can preach the Gospel and God can work through them, yes. But they cannot be trail blazers, leading the way for others to minister in cross cultural contexts, in remote communities. Their longevity on the mission field is also questionable. Cross cultural mission needs missionaries who are team players, who recognize their place in the body of Christ, work within these systems, and initiate systems as God so leads them. As you live as a cross cultural missionary, in a remote community, realize how important your role in developing systems is. Your work as a missionary is setting the standard for the future works of God. May the systems that you are called to nurture bear abundant fruit for the glory of God.